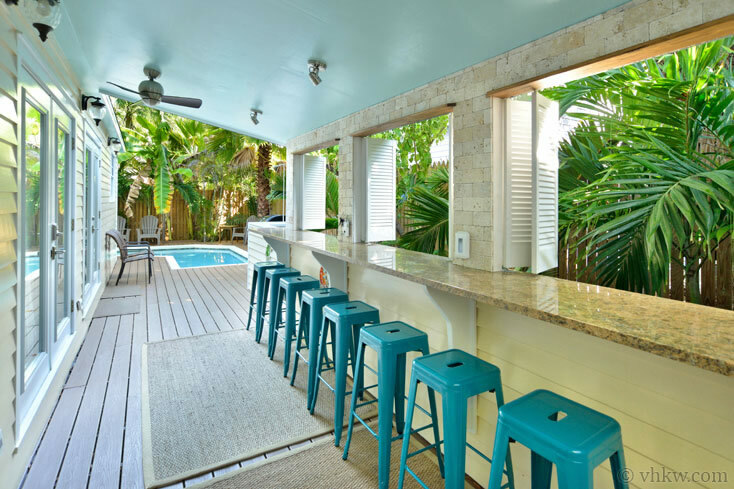 Sometimes a Key West cottage that at first glance appears predictable from the outside, is full of abundant surprises when you walk inside. 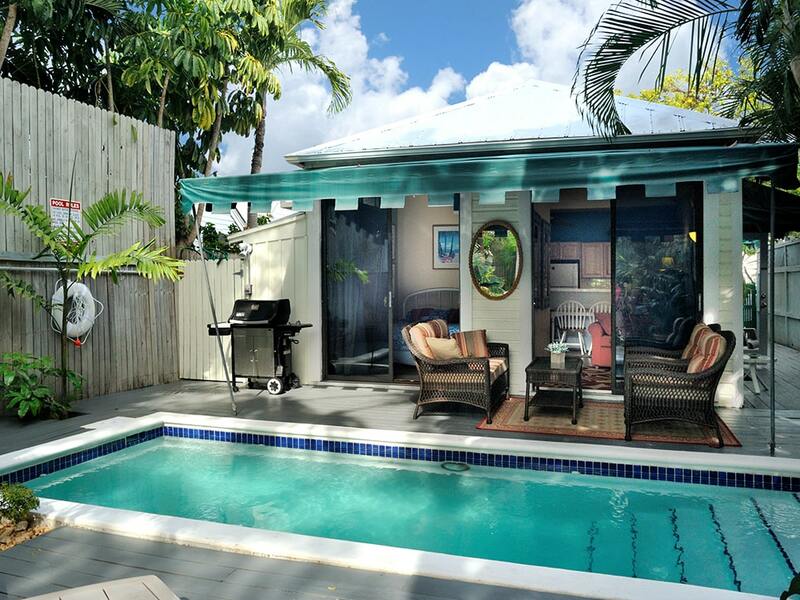 Villa Nouveau Key West vacation rental has an interesting story that attests to this truth. 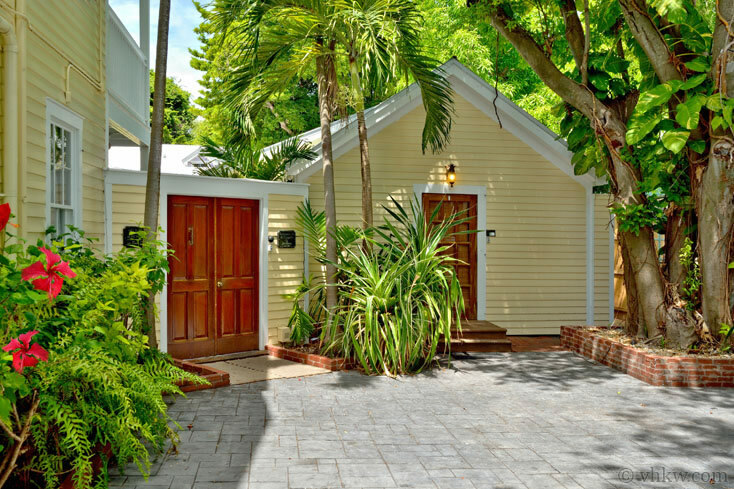 Once a prosaic 'shot-gun' style cottage, a modern redesign has thoughtfully transformed it into a sophisticated 'L-Shape' 4 bedroom 4 bathroom pool-side courtyard villa. 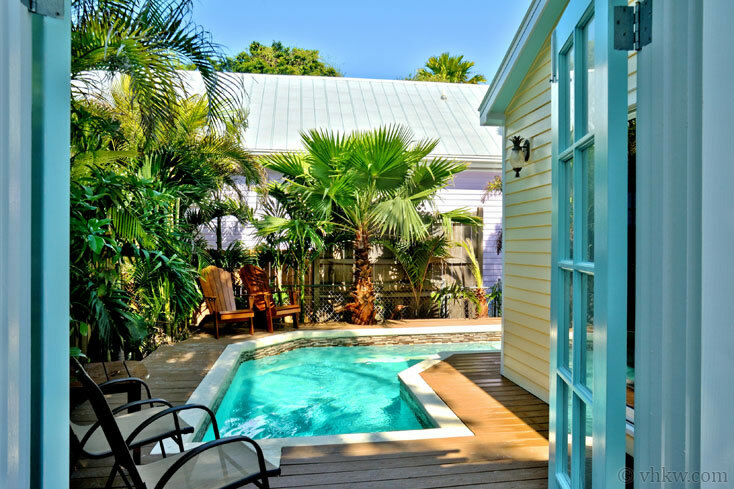 An ambitious and creative change, this fabulous property was recently renovated to receive a luxury pool-side great room, 4 beautiful bedrooms, and a custom designed private swimming pool and lounging deck. Interior: The interior décor draws from a soft tropical color palate of blues and sand tones and incorporates elegant modern furnishings of leather and wood. 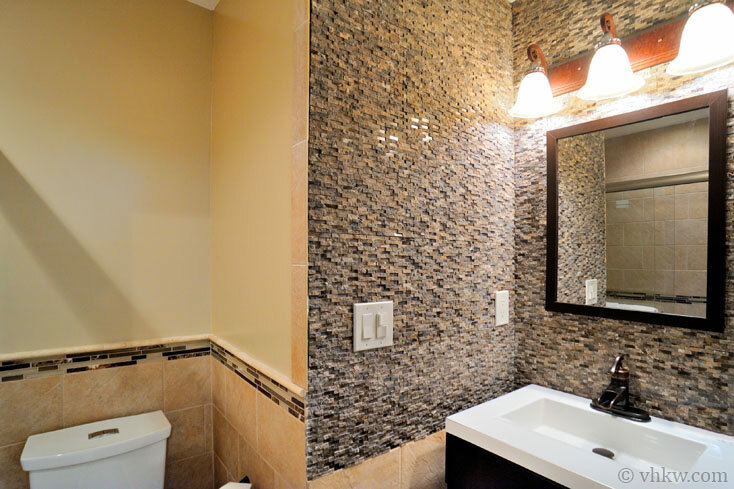 Floors throughout are tiled with earth tone travertine marble. Architectural angles and recessed lighting make the spaces fresh and spacious. 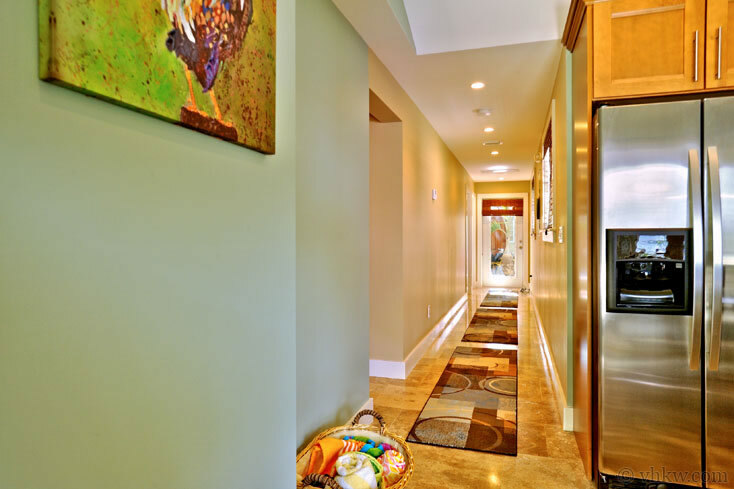 An open concept kitchen-dining room-living room is finished with modern wooden cabinets, granite counter tops, upscale appliances and fixtures, and boasts a state-of-the-art entertainment center with a large screen TV placed over a wet-bar. For sleeping, the bedrooms shown on the graphic as number 1, 2 and 3 provide king size beds (#1 is a California King), while bedroom number 4 provides 1 full and one twin beds. 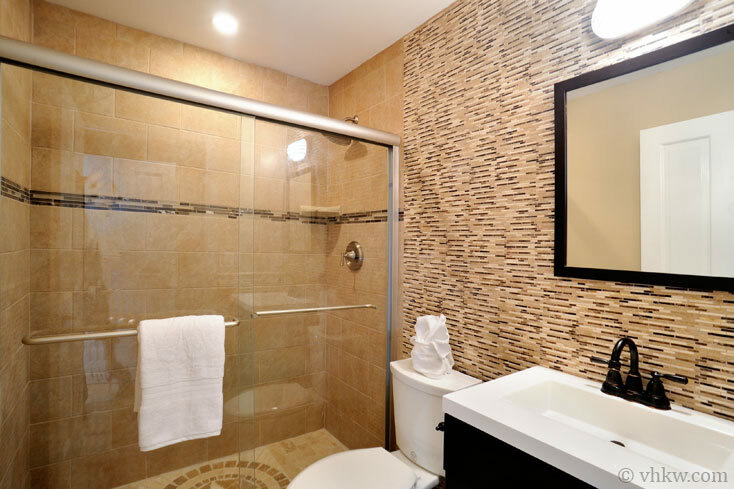 Each of the 4 bedrooms provides a private en-suite bathroom. 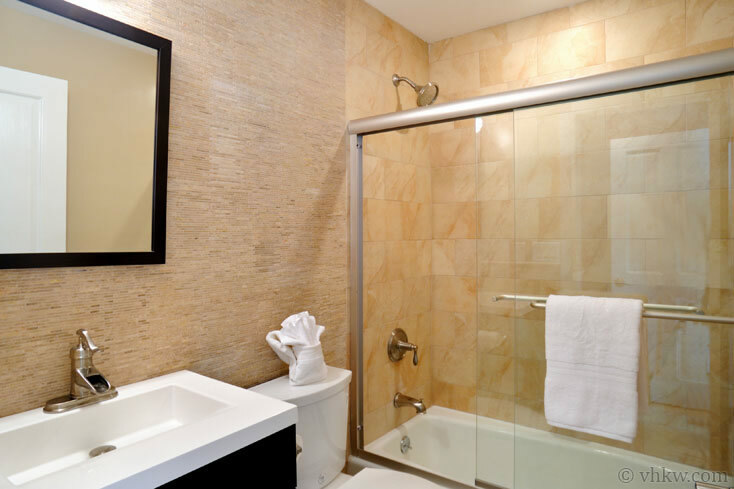 Bedrooms with king size beds provide spacious walk-in showers, while the bedroom with the twin and full beds offers a bath tub with in-tub shower. 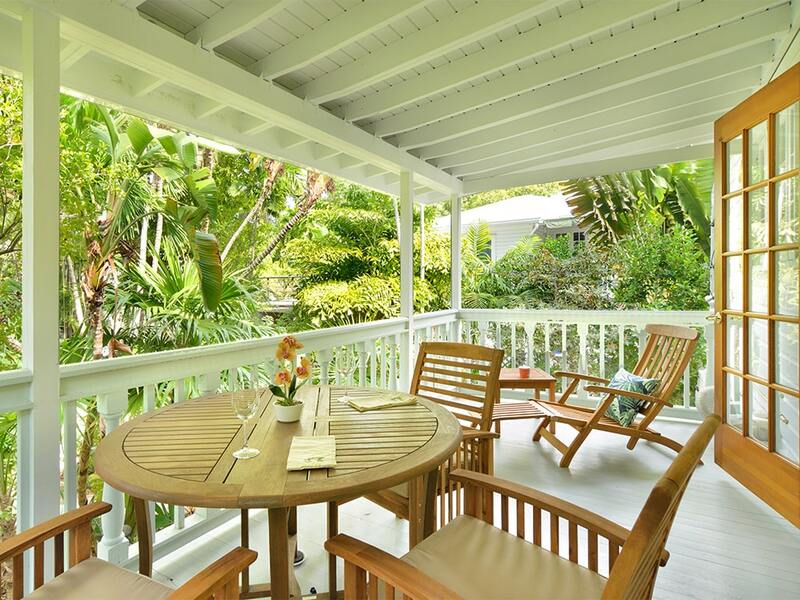 Grounds: The Villa Nouveau vacation rental is situated at the southeast corner and the rear of the grounds Grande Dame Key West – The Watson House estate. It is made private with tall wooden privacy walls between the properties and a separate entrance on the extreme south side of the grounds just beyond the parking area. 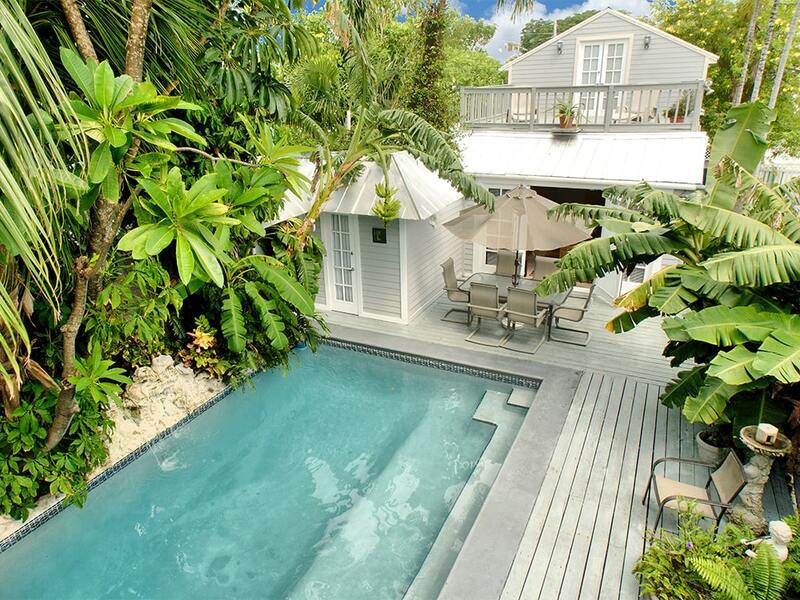 The villa has a beautiful 'L- Shape' private pool set into the back deck. It follows the line of the house, and curves around the corner of the house outside the great-room and is visible and accessible through three sets of single-pane French doors. 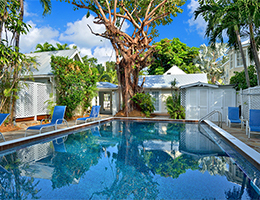 Designed to comfortably sleep 8, if your group grows, it’s possible to rent this home in combination with the larger estate home, the Grande Dame Key West – ‘The Watson House,’ next door. 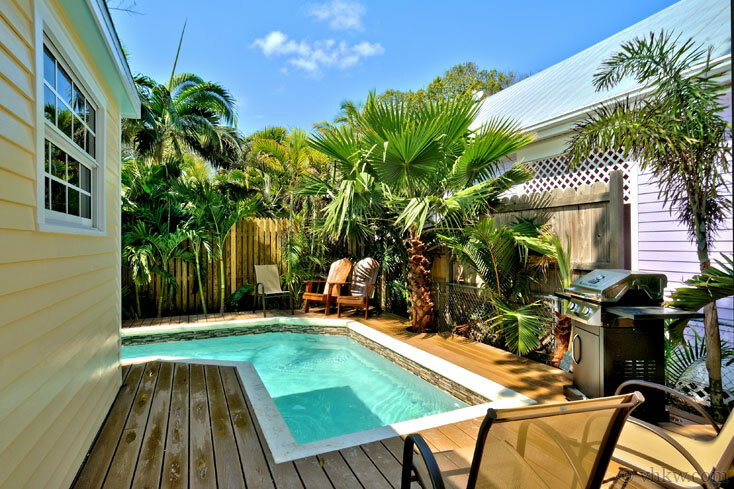 When rented in its entirety, it is offered as an exclusive vacation rental compound we call, The Meeting Point – Key West. 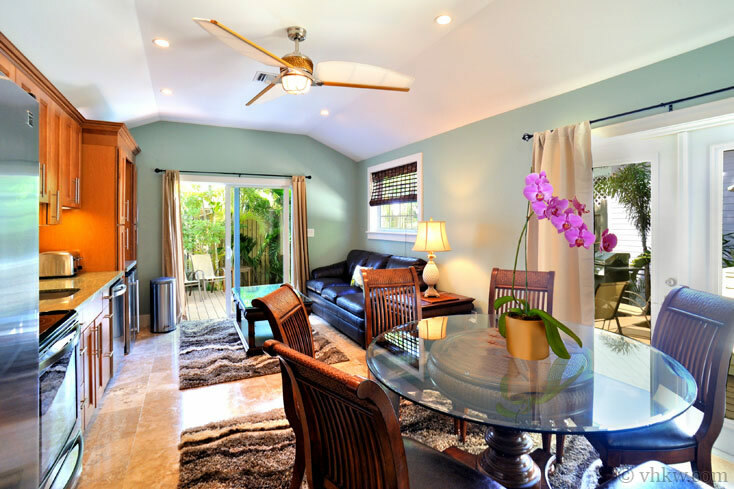 If you are looking to accommodate a larger group, renting the 4 bedroom villa and 7 bedroom main estate home provides one of the most unique and beautiful private vacation rental properties in Key West. 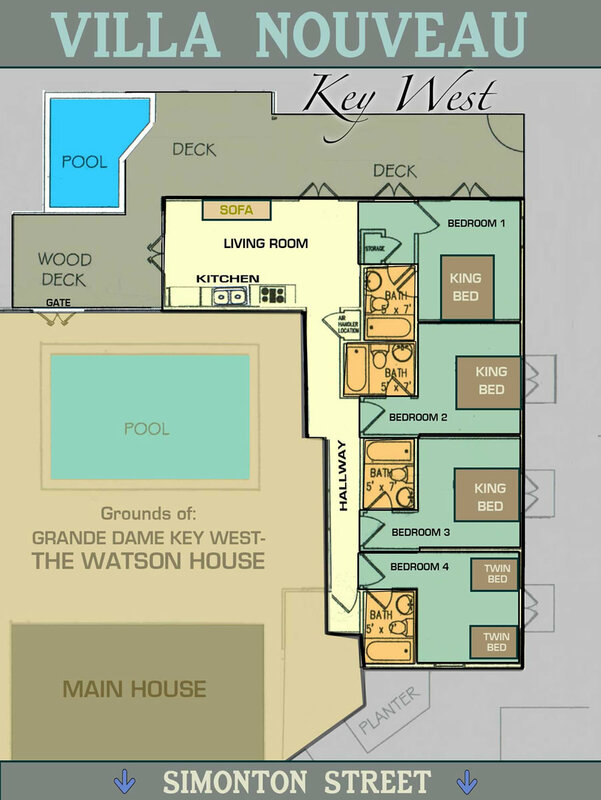 **The graphic shown in our slide show above gives the layout of the property and clarifies the sizes of the beds in each bedroom. 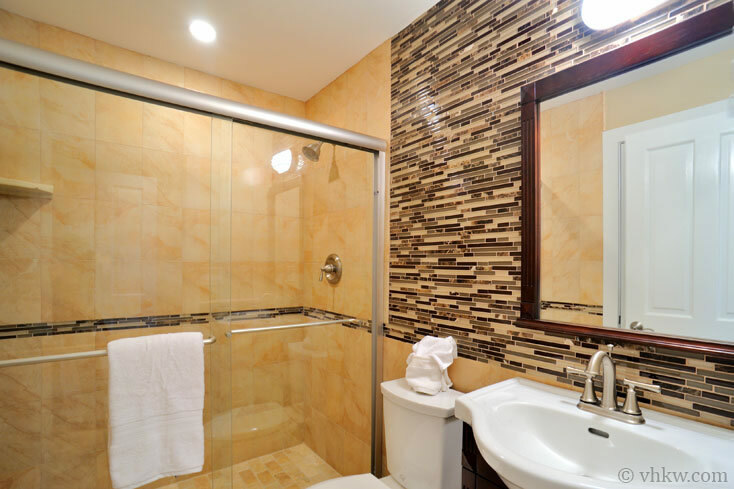 Amenities: New construction, upscale renovation. 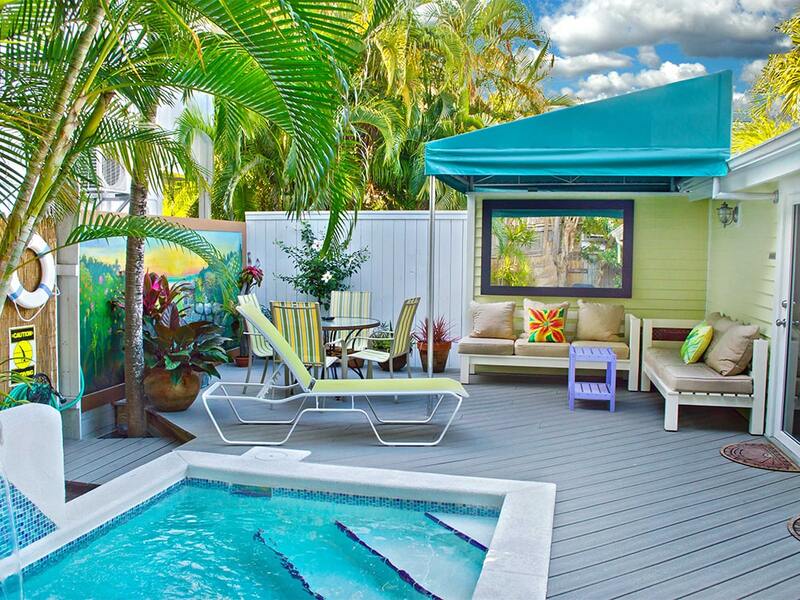 Private swimming pool, private deck off great-room. Fully equipped kitchen, central a/c, color cable TV, stereo, washer / dryer. Linens and towels are provided. Off street parking for 1 car. Catering can be arranged. Maid service can be scheduled. 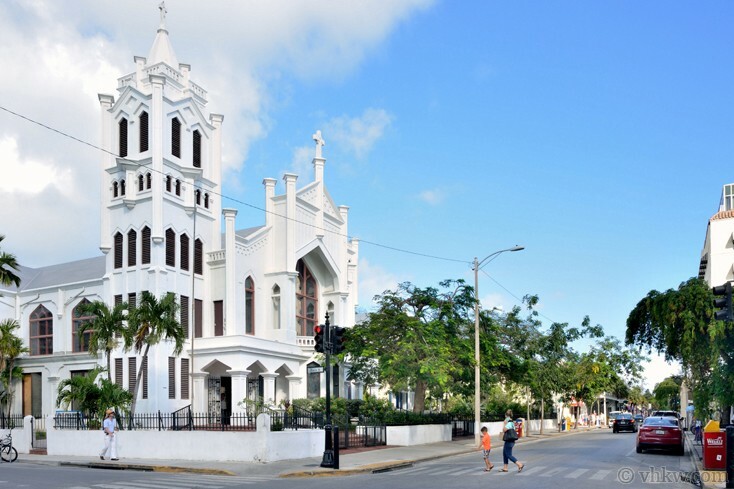 Activities: Heart of Key West's designated historic district from here you can walk to all Old Town features. Enjoy the pedestrian life-style and walk everywhere with no need for a car. 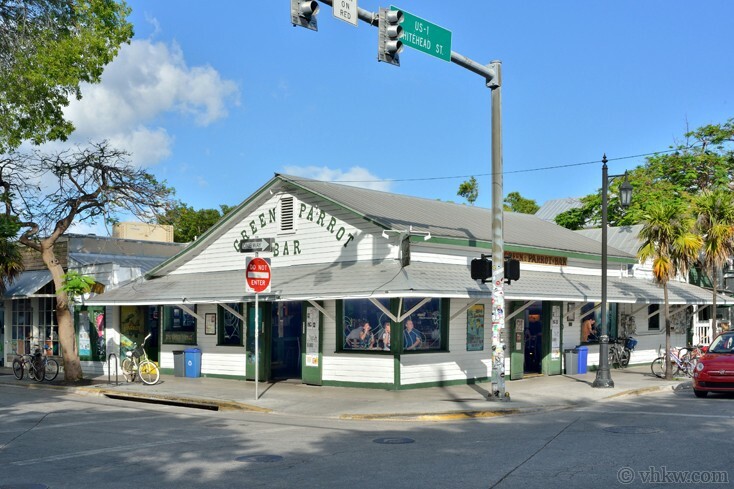 One short street and one minute walk from the 500 block of Duval St. Close to Mallory Square, and a few short streets from Historic Seaport and retailers. 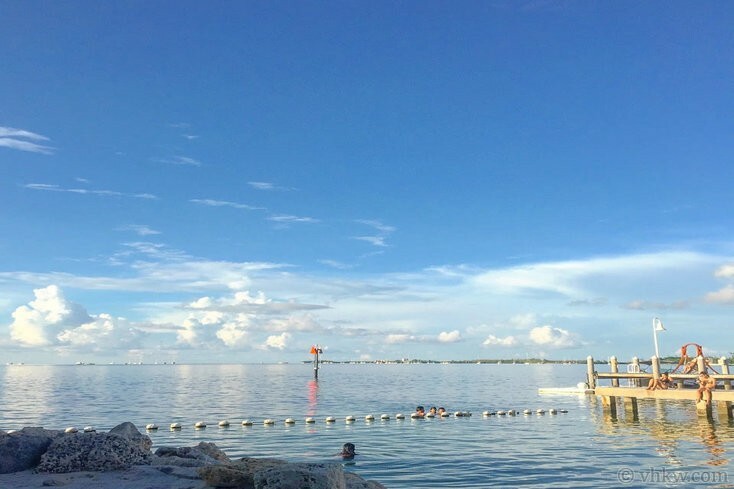 Sailing, boating, diving, museums, nightlife, family activities. Conveniently located to gourmet grocery shopping with excellent wine selection, sushi deli, and butcher. Close to shopping, art galleries, and a variety of national and international restaurants, coffee shops. Close to the beach. 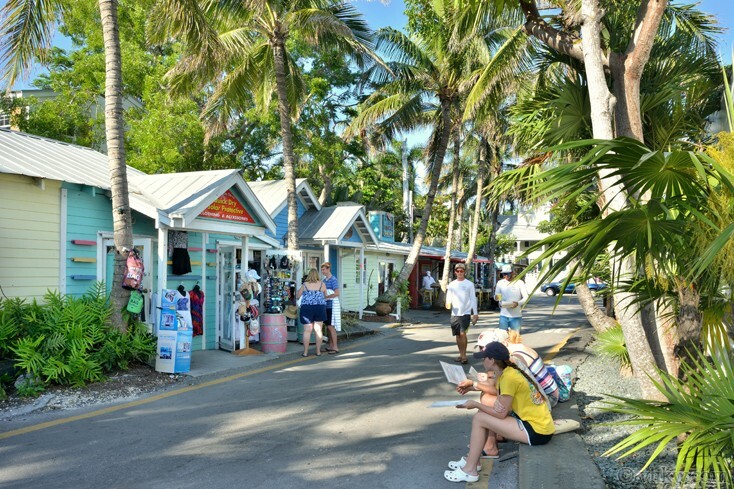 Area: On Simonton Street, a famous residential street in the tiny section of Key West that is the “island urban” area. A beautiful stand of grand residential homes are in this area. When you stay in this tiny district it’s amazing how much there is to see. One street from the mid-point of Duval Street in Old Town Key West that grew up as the central downtown area in the late 1800’s. Restrictions: While this property is ideal for families and groups to unite, it is not suitable for staging loud parties. Smoking permitted outside only. Absolutely no pets. Please don’t ask. We do not accept guests less than 25 years of age unless accompanied by a family group or guardian. Beautiful well appointed home conveniently located to just about everything. Perfect for a small group to stay or entertaining a larger group with lots of entertaining room outside. We did both and it worked out great. 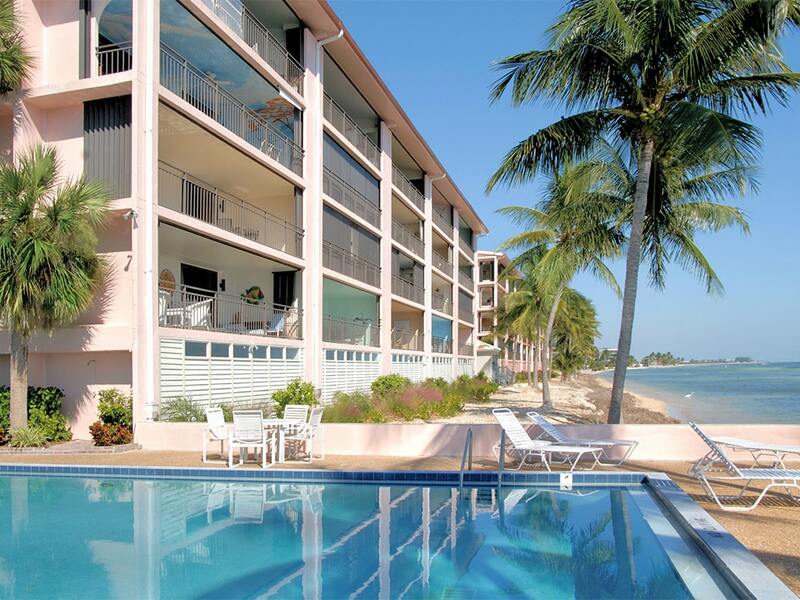 Highly recommend to anyone looking to rent a home in Key West. Great place. Not too big and not too small. Had everything we needed. 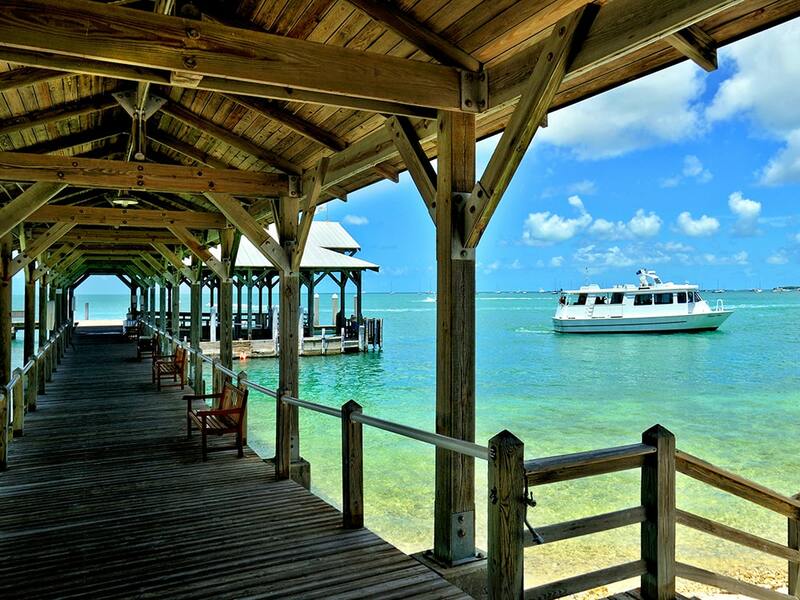 Great location for walking to fishing charters and to Duval. We really enjoyed our stay. The house was well equipped and the pool area was great. The location is very convenient and we walked nearly everywhere. We hope to return. 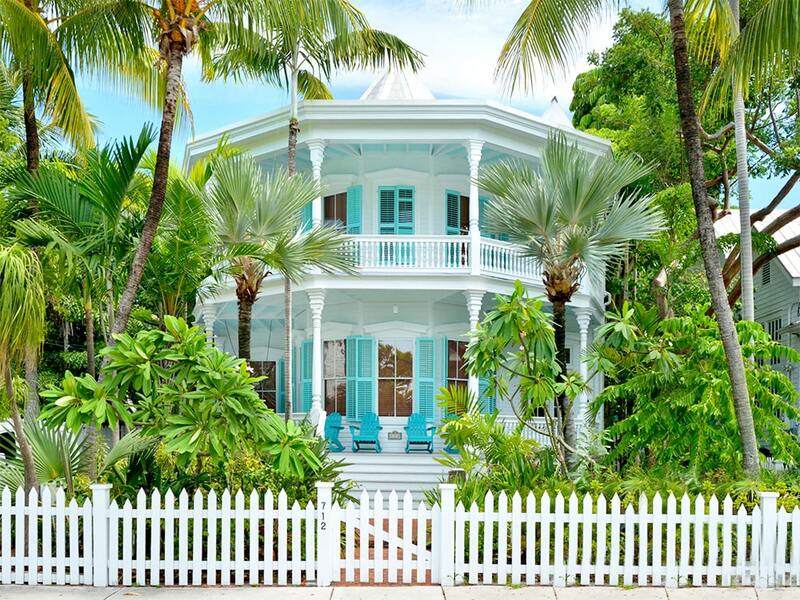 This was our first trip to Key West and all we can say is WOW! Villa Nouveau was the perfect pick for us and would definitely go back! It was so clean and the location was ideal. Thank you for a wonderful reservation staff. Your information packet was very informative.